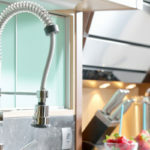 Blind corner cabinets plague most kitchens, you know those cabinets trapped between 2 corners that you practically have to crawl inside to uncover the contents. 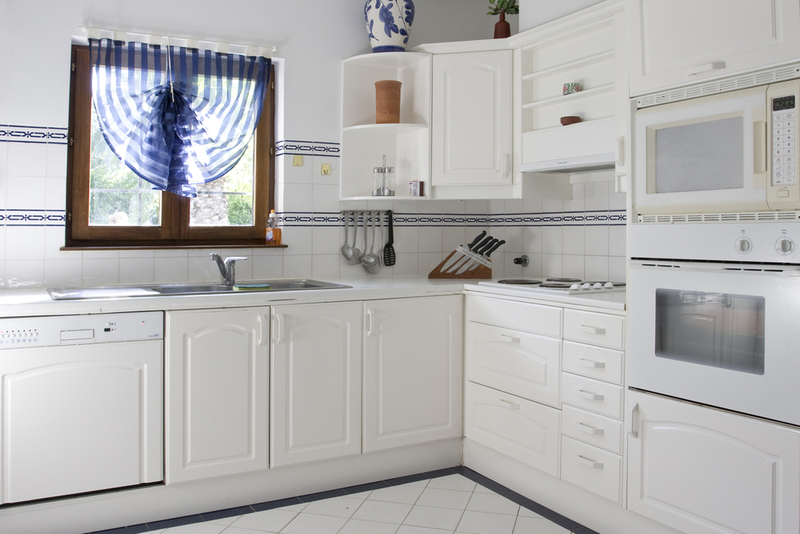 No matter how big or small your kitchen is wasted space is no good. The more functional cabinet space you have the more you are going to love your kitchen, and the easier it will be to resale your home. In other words, there is no reason to let perfectly usable space go to waste. Easier said than done, but you can change your dysfunctional corner cabinets into useful space using a number of tricks. Pinterest and other social media platforms have been drawing a lot of attention to blind corner cabinets lately, providing you with plenty of ways to dress up otherwise useless cabinet space. From pull out drawers to adding a lazy Susan, there are many ways to make every inch of your kitchen cabinet space productive. Here are 7 of our favorite ways to design corner cabinets for practical use. Perhaps the one thing every corner cabinet needs is a pull out drawer. Cabinets that require sticking your head deep inside to find the pasta strainer become cluttered with forgotten utensils and produce. By adding the pull out option to your cabinets you will get much more use out of cabinets, simply because you can easily access all of the interior items. Kick up the organization another notch by adding dividers to your pullout cabinets. If the cabinets tucked away in the corner of your kitchen are difficult to access or hardly ever used, strip off the doors and create an open shelf space you can adorn with knick-knacks and cute kitchen artifacts. Coffee cups, cooking books, spice racks and more can make this space decorative and practical. There is nothing I love more than watching TV while I cook, which is why this might be my ultimate favorite way to utilize small corner cabinet spaces. 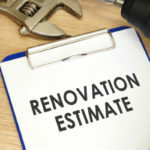 You will remove the cabinet face and use the cabinet box to instead house a TV, microwave, or both—depending on how much space you have to work with. Since televisions and microwaves come in all different sizes, it shouldn’t be too tricky to find one appropriate for your available space. The microwave is a useful appliance that often gets misplaced these days due to the popularity of adding a hood range over the stove. If you only have space for one or the other, pick the appliance that means the most to you! Remember, the microwave can be tucked away anywhere, such as in a pull out drawer, but the TV may fit nowhere else as perfectly. For slim corner cabinets that hardly hold anything you can remove cabinet doors and replace with a glass door instead. Inside you can decorate with plates, bowls, fine china, or whatever you prefer. By adding lighting to the top shelf your cabinet will further stand out, adding luxurious beauty to your kitchen décor. Perhaps you don’t want to show off the insides of your cabinets, in which case you can turn your corner cabinets into a closed off pantry. In this case you will want to add parallel doors that stretch from the ground up to the ceiling. Just remember to keep a good-looking stepstool nearby so that you can easily access the stuff you put on the top shelf. One of the cheapest ways to make your corner cabinet space more productive is to add a lazy Susan. Simply slip one of these twirling platforms into your current blind corner cabinet and you are instantly granted easy access to everything within your cabinet, right in front of you. If you have to close one drawer in order to open a neighboring drawer, your corner cabinets need a major remodel. A corner drawer looks like 2 neighboring cabinets with 2 separate handles, but it actually opens up as one large space. By adding a corner drawer you will obtain more storage space and easier access. Still Don’t Have Enough Cabinet Space? The corner of your kitchen island is a space that is often left to waste, but here you can add a side cabinet that blends in seamlessly and grants you more storage space. Don’t want to build additional cabinets? You can purchase a freestanding cupboard in a variety of styles at many different stores. A freestanding cupboard can be placed in your kitchen or dinning area, giving you more flexibility with your storage options. Inside of these pretty and varied portable cabinets you can store fine china, everyday dishes, or just about anything. 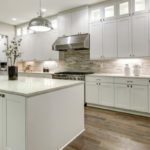 If you are thinking about remolding your kitchen, the cabinets remain one of the most important components for design aesthetics and functionality. 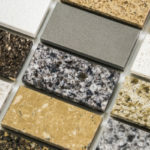 At Tops Kitchen Cabinet we offer superior cabinets, counter tops and more at wholesale prices, check out our vast selection of inventory today!